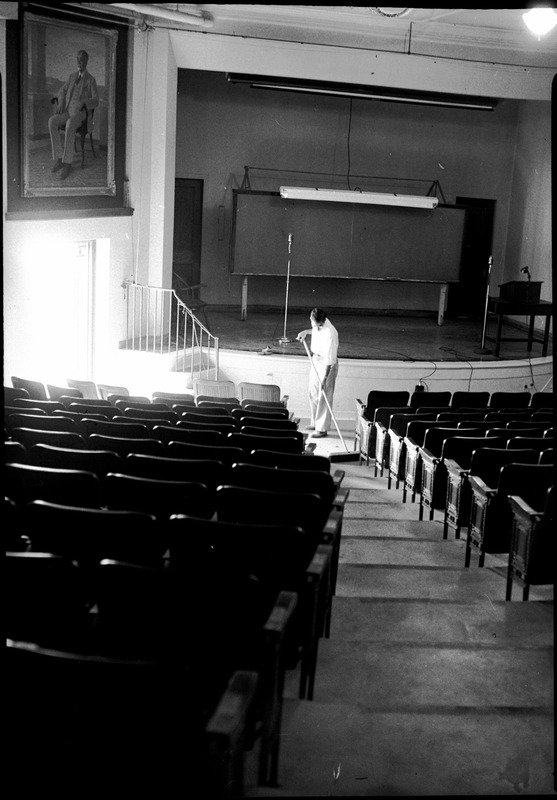 View of Lillie auditorium towards stage. Janitor sweeping. Second image. 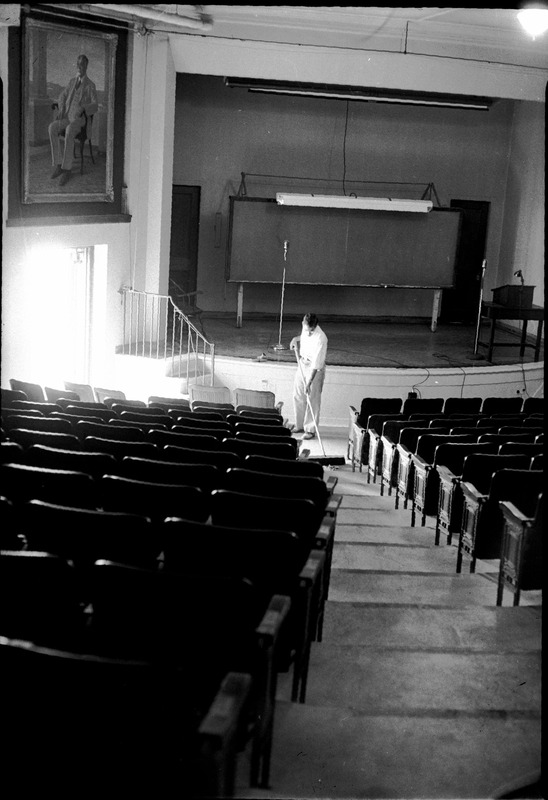 View of Lillie auditorium towards stage. Janitor sweeping. 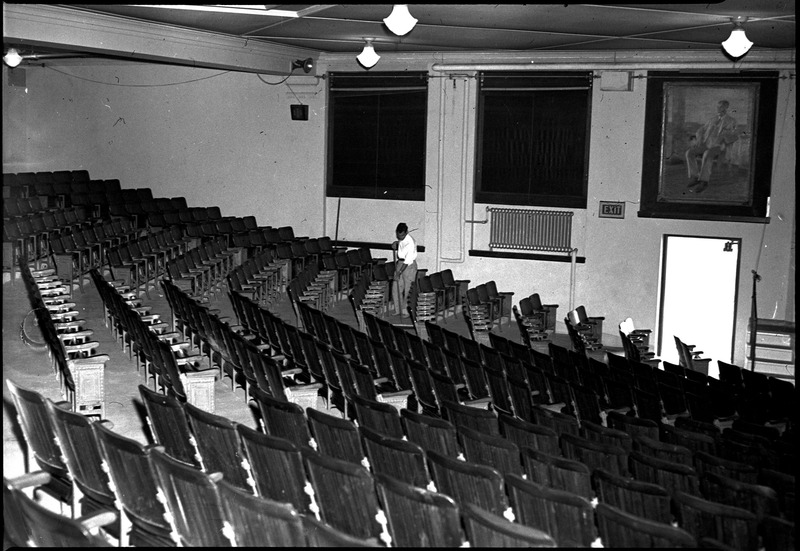 View of Lillie auditorium towards Crane painting. Janitor cleaning. 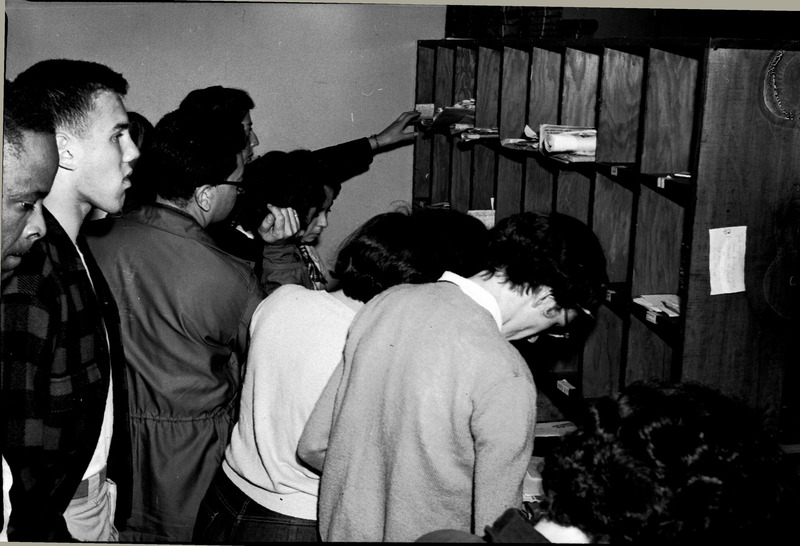 People retrieving mail from cubbies. 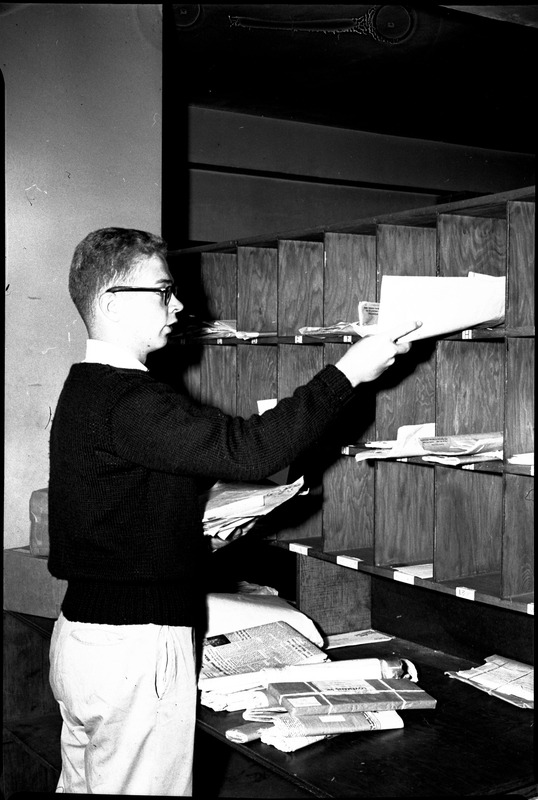 Man sorting mail into cubbies. 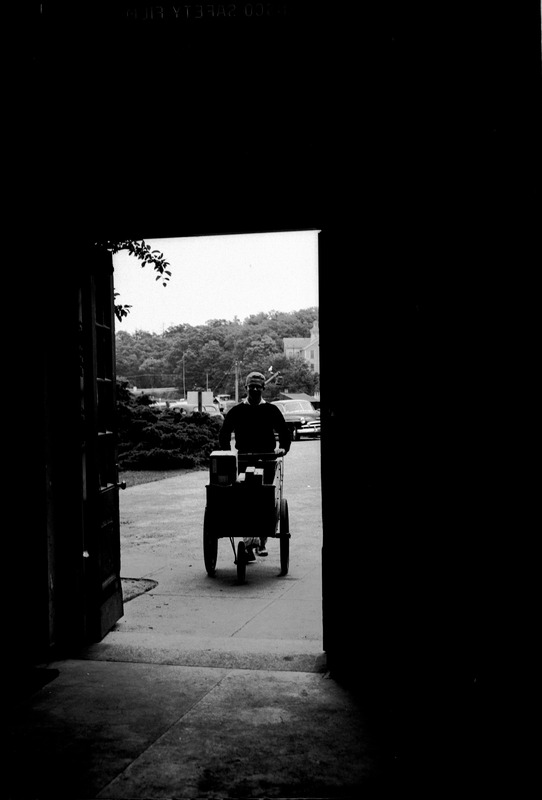 Man with mail cart entering building. 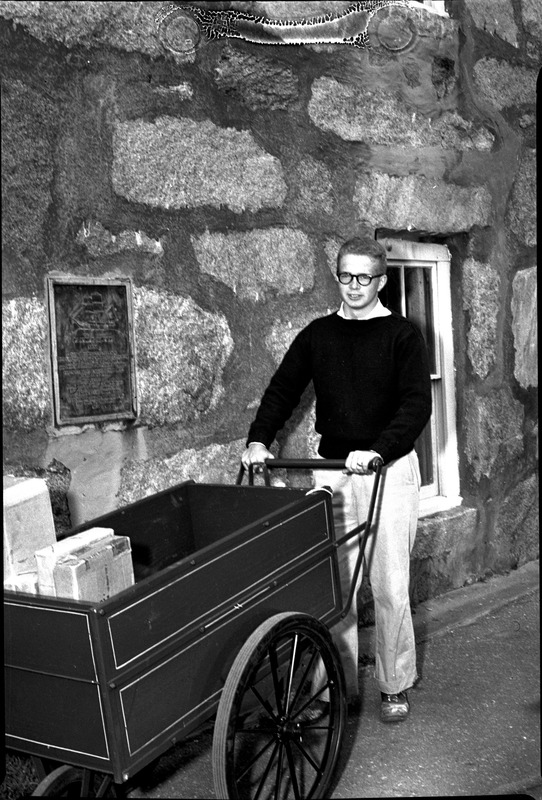 Man with mail cart in front of Candle House. 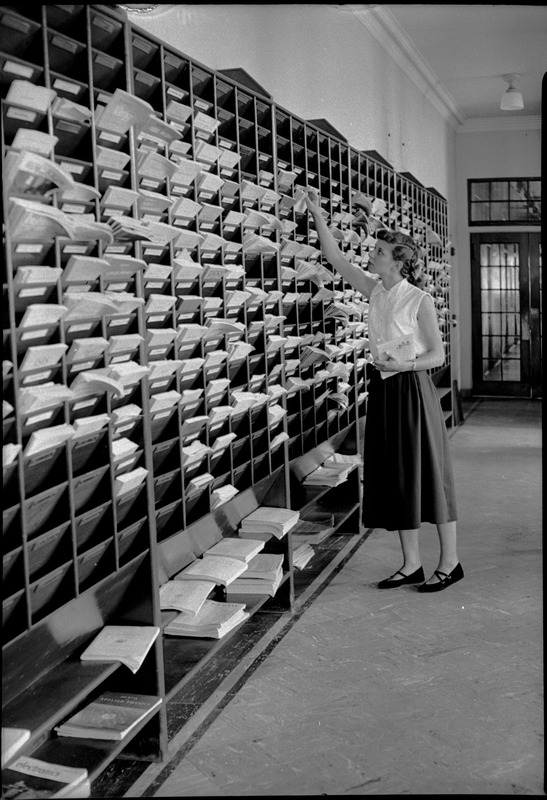 Woman reaching for journal in periodical racks. 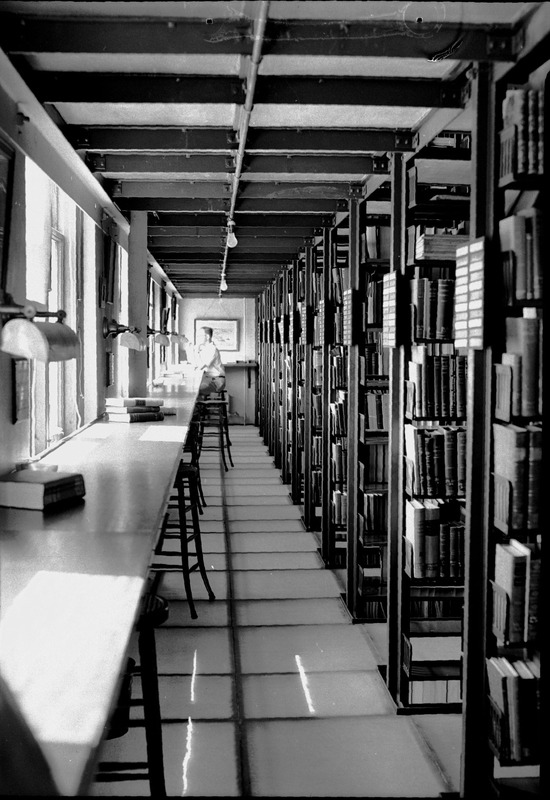 View along side of book stacks with counter. 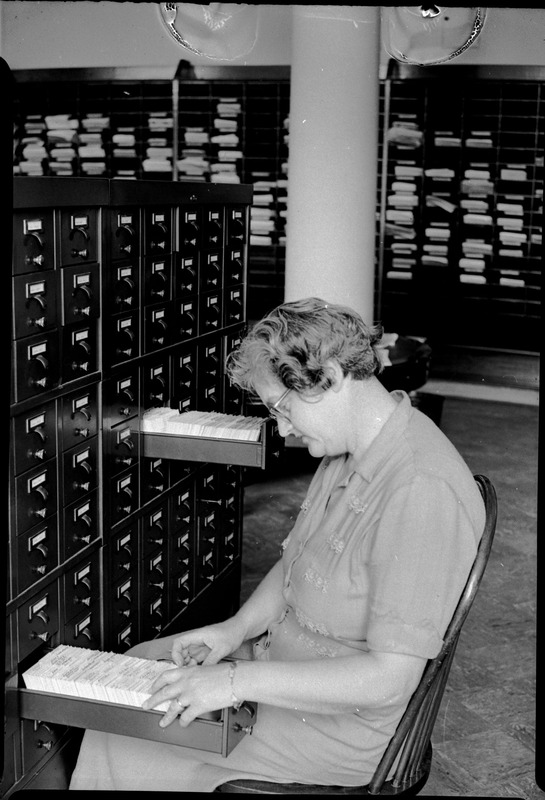 One person seated at counter. 2nd image. 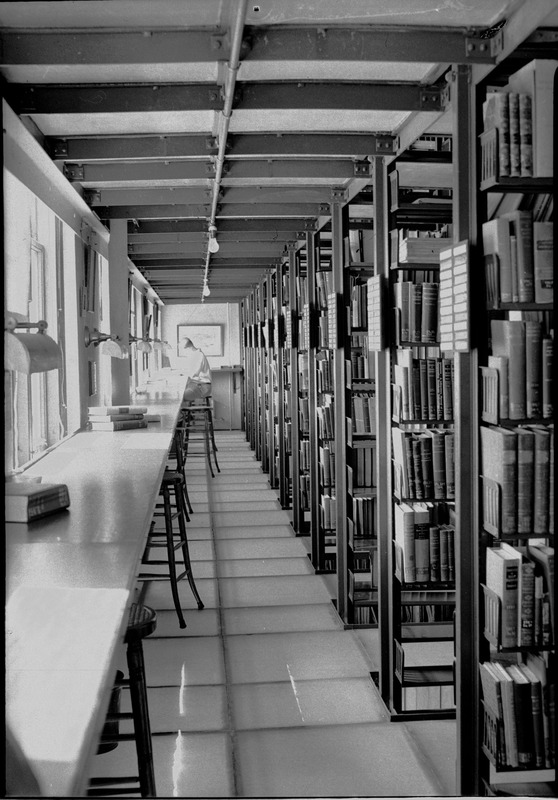 View along side of book stacks with counter. One person seated at counter. 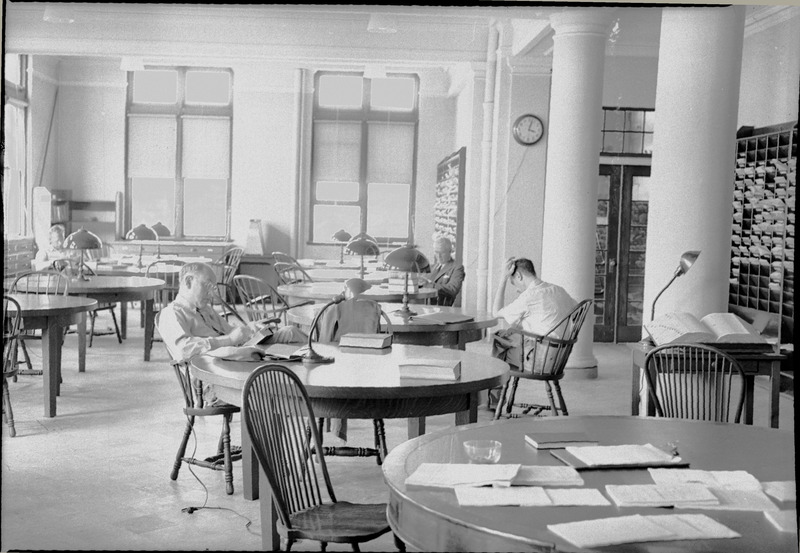 View of large reading room. Four men seated at separate tables reading books. Darker image. 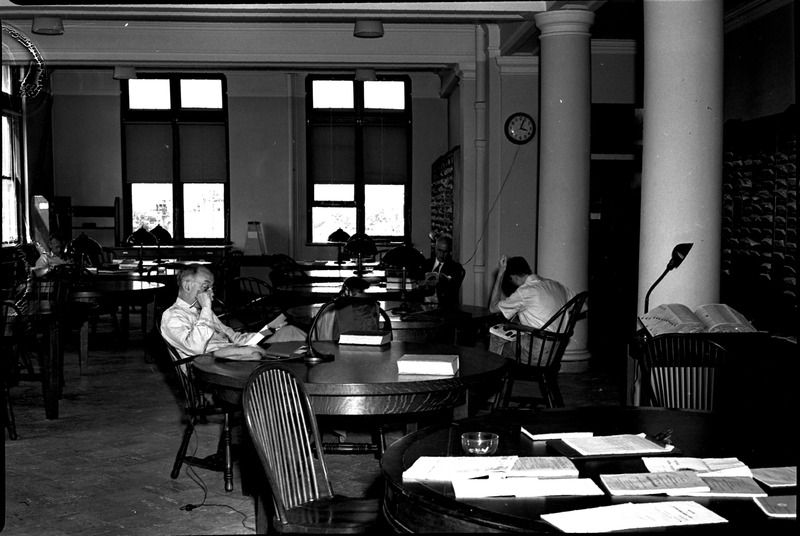 View of large reading room. Four men seated at separate tables reading books. 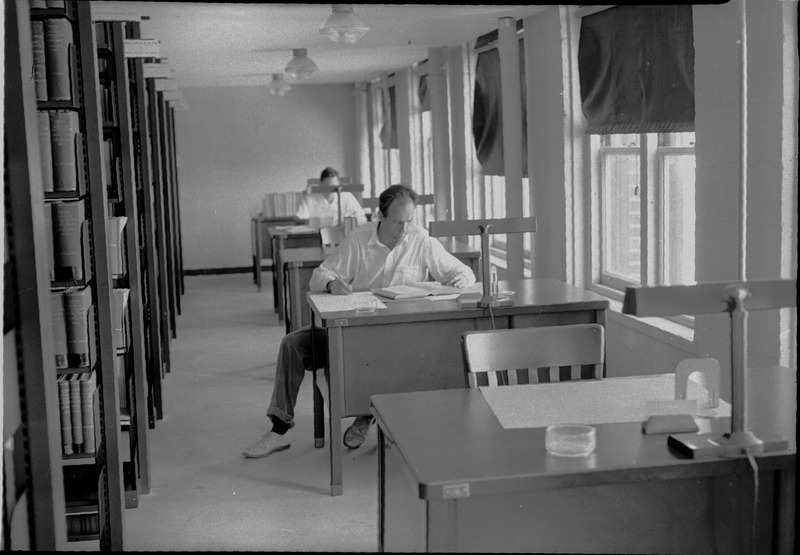 Two men sitting a separate desks along the side of the book stacks. 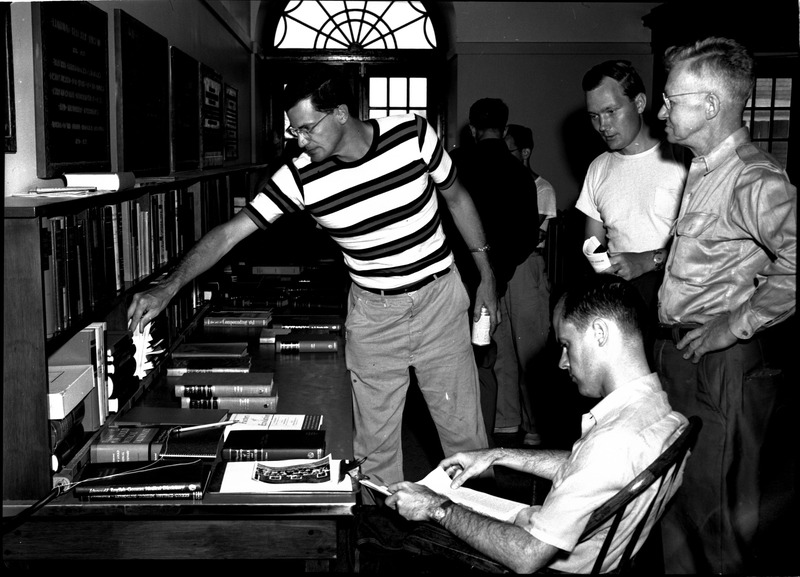 Men reviewing books for sale in lobby. 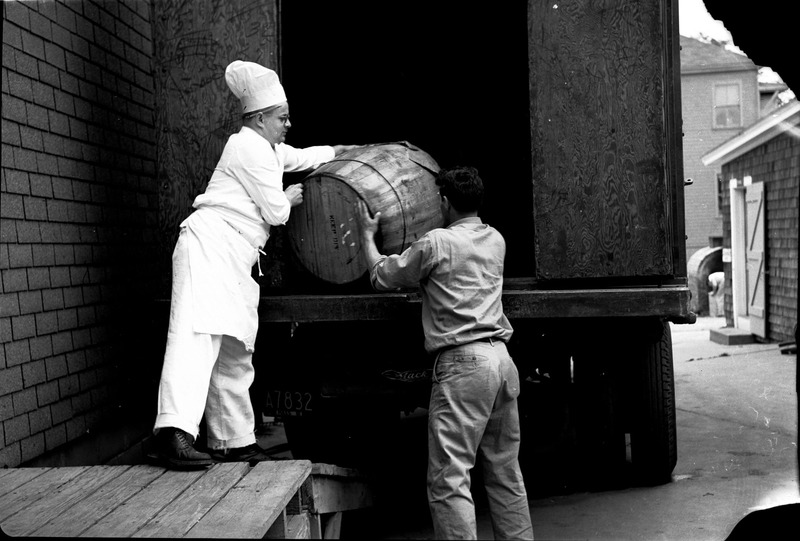 Delivery man and chef removing barrel from delivery truck. 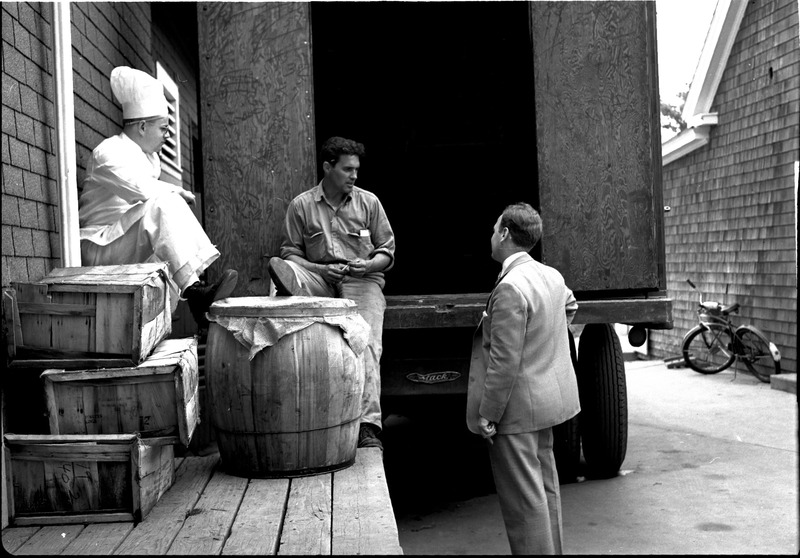 Deliver man and chef reviewing paperwork. 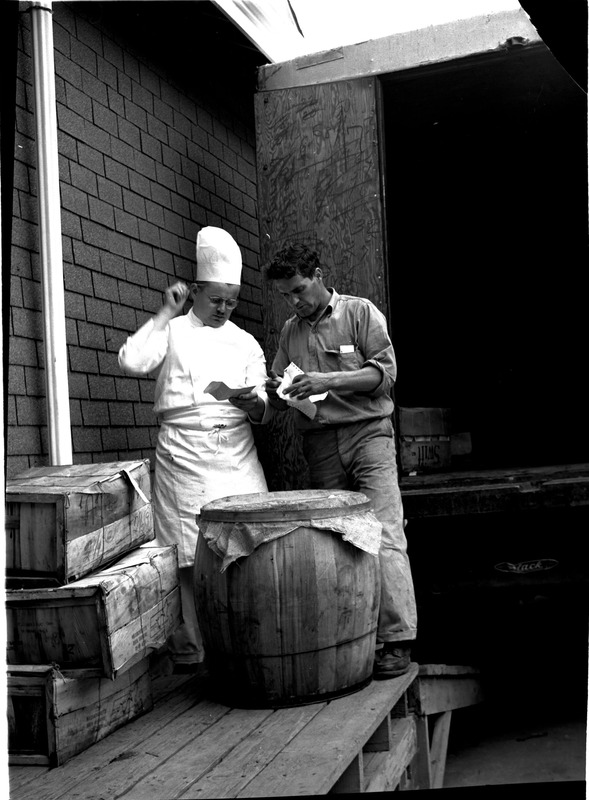 Man in chef's hat seated on crates. One man seated on back of tractor trailer truck. Man in suit standing below loading dock. 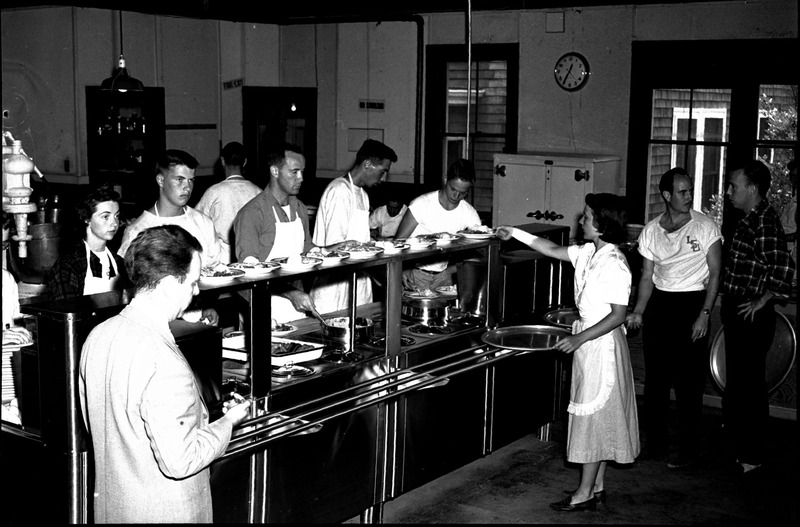 View of food service line. 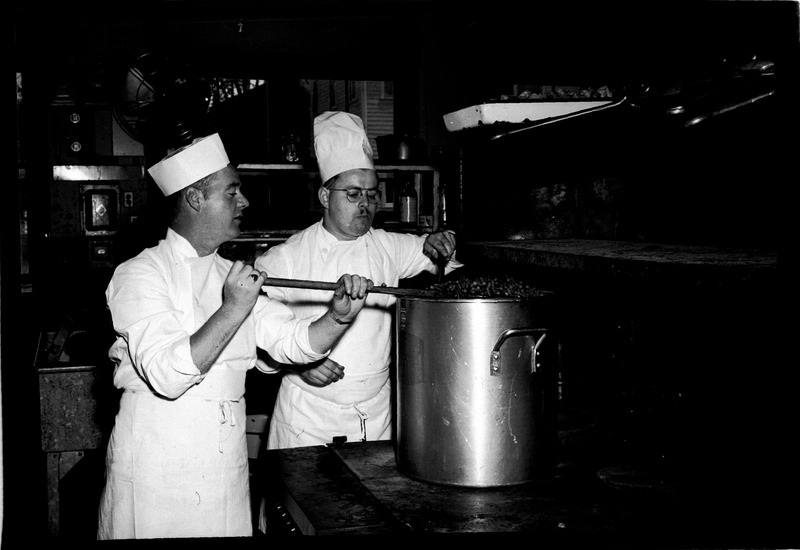 5 employees serving food. 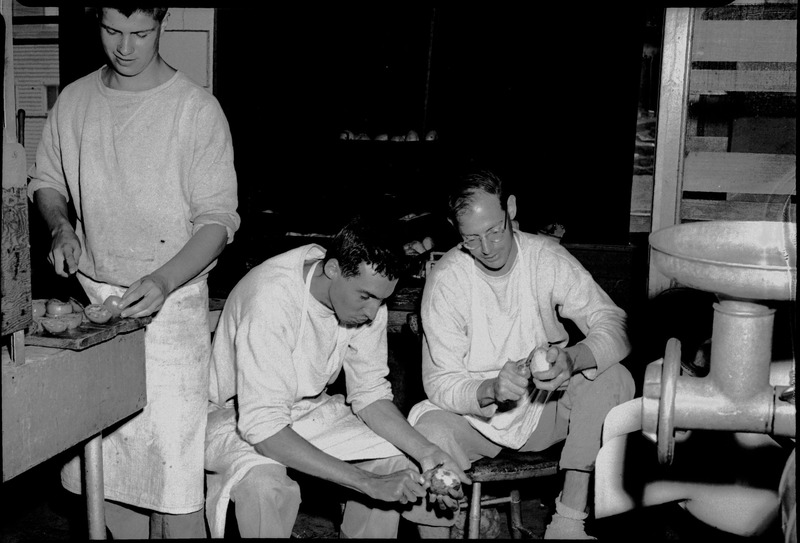 Two men seated peeling potatoes. 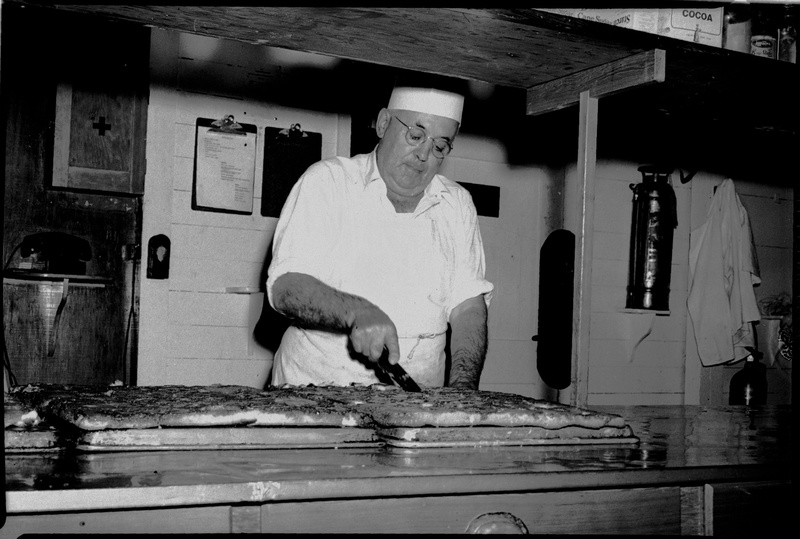 One man standing slicing tomatoes. 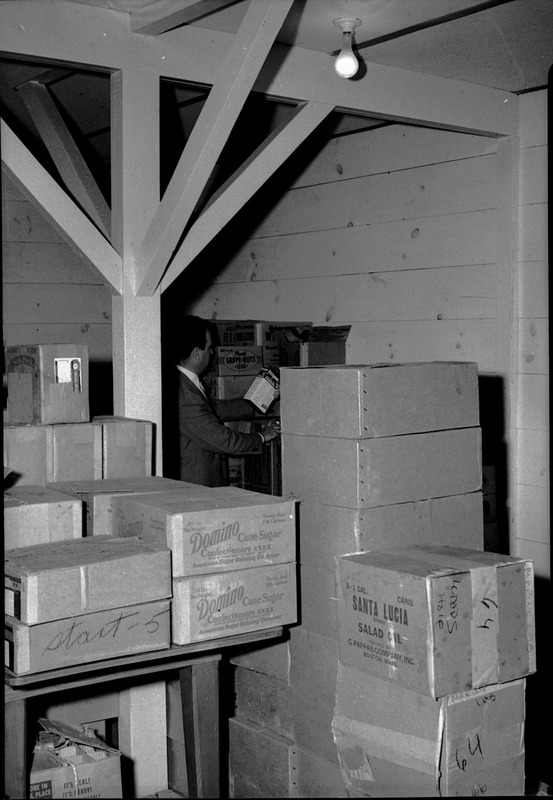 Man standing in food storage area. Many boxes visible. 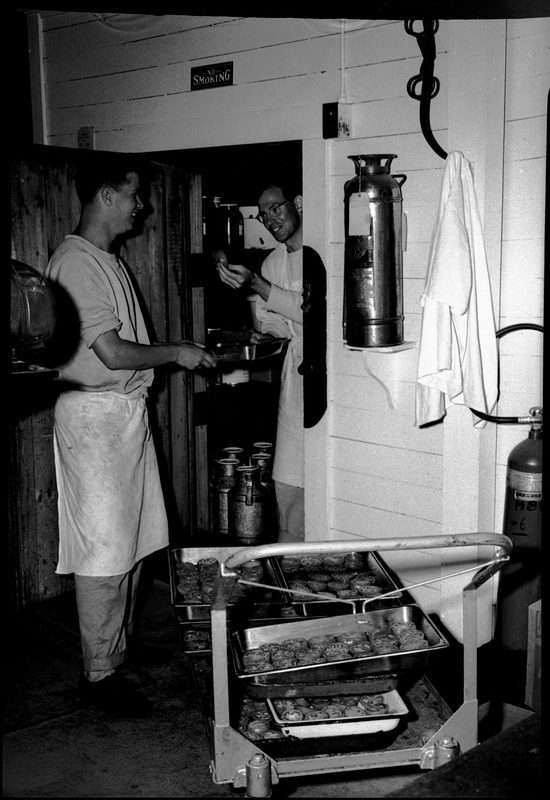 Two men talking near trays of sliced tomatoes. 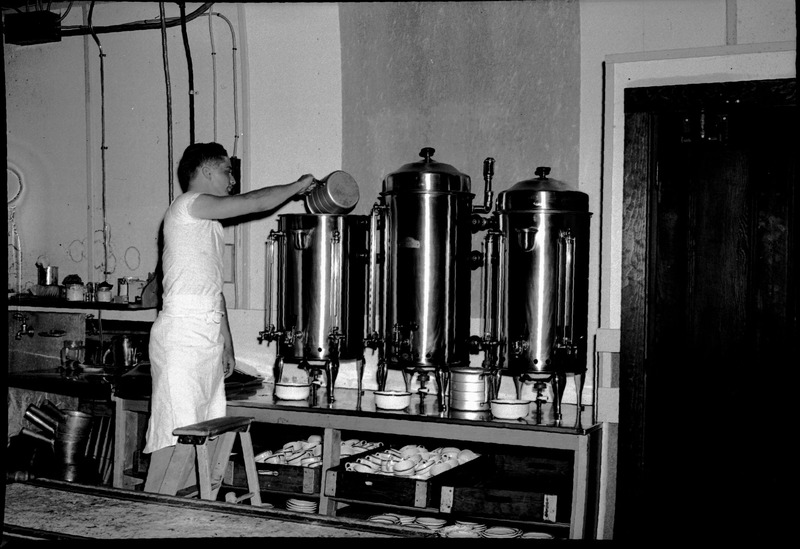 3 coffee urns on table. Man pouring water or coffee into one.